Well, here is something. I am considered by many to be good at technology, though I feel I am able to use it with teaching, but not that great with it otherwise. Yesterday proved this. I teach every fortnight at my local Hobbycraft and am becoming known there and that people are able to find me. I had a wonderful time yesterday teaching a lady how to manage the ladder weave and from it she created a beautiful bracelet which she wants to give her daughter. What has this to do with technology? Well, the beads are created using technology and so are the findings. Tools were once considered high technology too! This is a level of technology I can understand and can handle. As my lady yesterday also found, it is a level I can share and pass on to others. Well, I decided to try higher technology yesterday too. Above is a link (which hopefully works!) where a wonderful friend and business link, Jude Gilchrist of Hire my Outfit (can also hire some of my jewellery through her) helped me understand and try out the Facebook live set up, to make a short video about my teaching. Although a bit nervous, the general feedback so far is that it has gone down well. One even says I should make more! What do you think? It is also being shared by some friends on Facebook and this is giving me great confidence in this area of my business. But then, I reached my achilles heel. For I have been persuaded into the world of Instagram. After some initial problems, I was able to add the app to my phone and decided to try it. 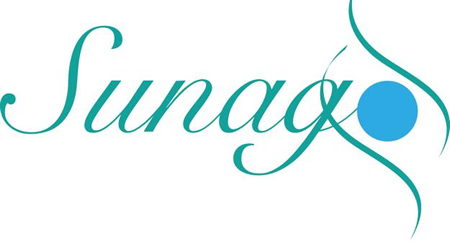 My link is FionaSunago, for those who wish to find me and follow some more antics of this business. In the evening teaching session/demo session, I decided to share what I was making, as I was making it. I took live photos and found where to write, so I could add a piece of info about it. Can you find them? No? Me neither! Apparently I still have much learning to do in this area (as I will explain in my Facebook Friday Funny on 28th), but hopefully will be able to share more photos with you soon and then you can see the creations appear and bags them before anyone else! But until then, there are photos to upload on the shop here and creations to make, so I will see you again soon!